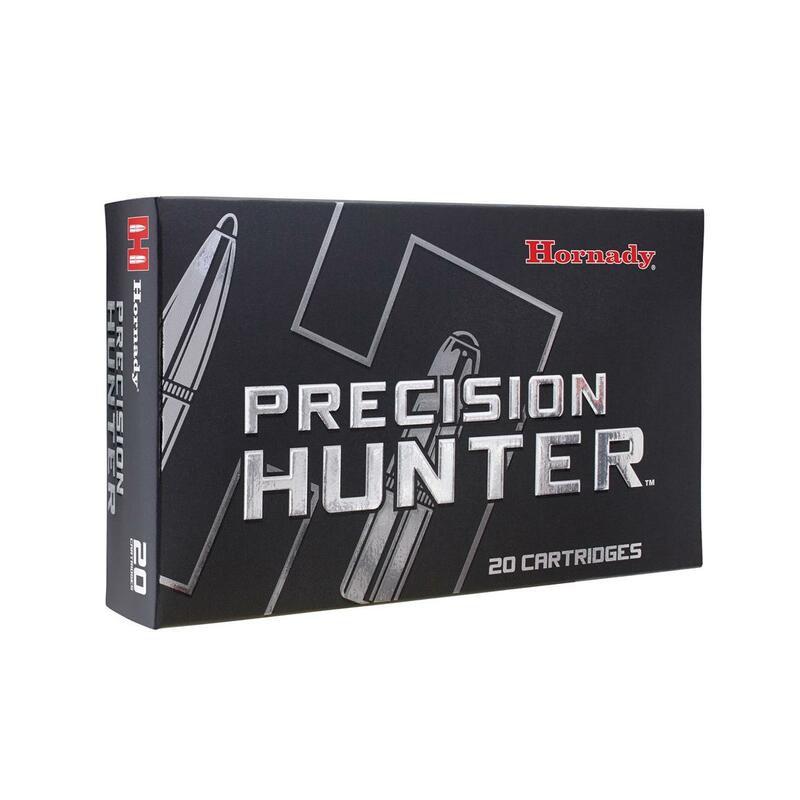 This Hornady Precision Hunter Ammo combines top-of-the-line craftsmanship with the latest technologies to provide excellent accuracy, terminal performance, and devastating expansion. Propellants used in the Precision Hunter Ammo are clean burning and loaded to uniform capacity for consistent results regardless of temperature. This attention to detail provides the highest levels of accuracy and performance uniformity for the most demanding hunter. Hornady Precision Hunter, .308 Winchester, ELD-X, 178 Grain, 20 Rounds is rated 5.0 out of 5 by 7. Rated 5 out of 5 by ShadManBen from Awesome Hunting Ammo Although I have only used it out to 100 yards, I am very satisfied with its extremely accurate performance and superb knock down power. Rated 5 out of 5 by BrimBass from Really great ammo I have used this ammo for two years and taken 7 deer from around 100yds out to 275yds. Each deer dropped immediately where it stood. No tracking was necessary. I really appreciate the quick and clean kills Precision Hunter provides with each shot. Rated 5 out of 5 by BadBobTheAlbino from Accuracy in a box Tried several brands/bullet weights in the Wife's Weatherby Camilla and it is scary accurate with .308 178g. ELD-X Hornady Precision Hunter ammo. She took an exceptional bull caribou and dandy pronghorn buck this fall. I was so impressed with these cartridges, I ordered more in .280 Rem & .30-06 to see how they perform in those cartridges. Rated 5 out of 5 by Slimhof from Very Accurate Ammo I shot these bullets from my Bergara B14 at 100 yards. It was on a windy day and after about 5 rounds to get it sighted in, I then shot three holes at about .6 MOA. Maybe it was the gun, maybe the ammo, but it was not me. Very accurate round. Rated 5 out of 5 by G8R8U2 from Hornady Ingenuity Got these because Hornady is still on the leading edge of technology; these are ideal rounds for both short and long distance shooting, and I appreciate that kind of versatility and utility. SG had the best price I could find. Rated 5 out of 5 by 4HogHunt from Great price! Best price online !! Plus with free shipping and no tax, the savings added up compared to buying locally from big box stores. Package mailed quickly and arrived in good condition. Ammo is clean and shot a nice 2 inch group at 200 yards with my Ruger Scout. Ammo can probably do better than what I'm capable of ! Feed your .308 what it craves.